“You know a band is good when at the end of their sound check the audience starts clapping” writes an interesting review about one of their recent shows. 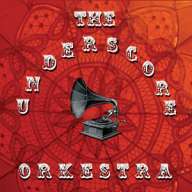 Fusing the sounds of gypsy jazz, swing and world music, with the styles of vaudeville cabaret and circus arts, it’s not just a band, it’s an Orkestra, the Underscore Orkestra. The members are modern day gypsies and their names are Jorge (Violin, Vocals, Harmonica and Piccolo), Willo (Accordion and Vocals), Cody (Guitar and Banjo), Scott (Guitar), Cliff (Bass), Peter (percussion), Susanna (violin) and Andrewski (Clarinet). Balacing Act comes from their last album “No Money, No Honey, All We Got Is Us” (2009) and you shouldn’t miss it specially if you love bands like Devotchka, Gogol Bordello or Taraf de Haidouks. 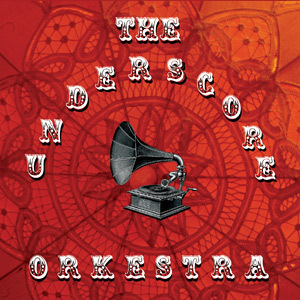 The Underscore Orkestra is a Portland (Oregon) based band, playing a blend of Balkan, Klezmer, Gypsy Jazz and Swing, with a repertoire consisting of both original and traditional material from fast bulgars and melodious waltzes to odd meters and swinging rhythms. Their instrumentation includes violin, accordion, guitar, banjo, clarinet, horns, flute, harmonica, bass, vocals and percussion. Each of the members comes from various backgrounds and musical disciplines from as far away as Russia and as close as our own North West. The Underscore Orkestra has been performing for the past 3 + years, touring all around the western U.S., Mexico and Guatemala and has been seen from intimate coffee shop setting all the way to huge outdoor festivals. Amnesia bar in San Francisco.